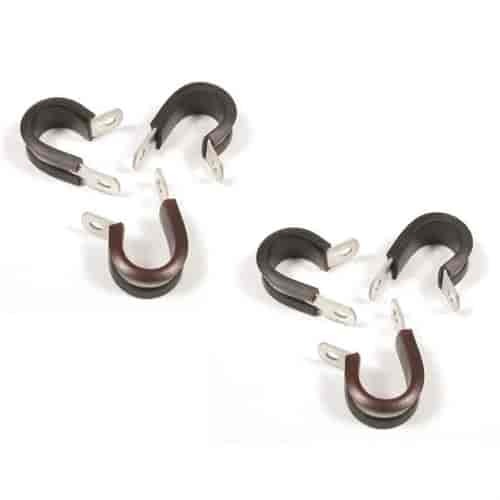 Earl's 171008 - Cushioned Tubing Clamps 1/2"
Allstar Performance ALL18303 - Aluminum Line Clamps 1/2"
Mr. Gasket Mounting Clamps are insulated with Adel 75005 compound for easier mounting and better protection of wires, fuel hoses, brake lines or anything else you can bolt to a solid surface. Aircraft quality materials are used to ensure these clamps are built to last, even in harsh weather environments. Clamps are available in various diameters and sold in packages of six.